MORE than 2000 visitors and 150 exhibitors from across the UK descended on Longleat for the 2017 Confor Woodland Show. Organisers of the two-day trade show, with a focus on forestry and rural issues, reported strong visitor numbers and a good level of trade inquiries thanks to a high-quality, well-informed audience. The Confor Woodland Show has been taking place at Longleat Estate since 2009. Previously held at Exeter Racecourse, the Southwest Woodland Show (as it was previously known) was looking for a venue more central for both the South West and South East which could attract a wider exhibitor and visitor base. Longleat, with its incredible history in forestry and international reputation, was the perfect choice and has seen the show growing from a regional one-day event to a two-day trade show bringing exhibitors from all over the UK to Wiltshire. 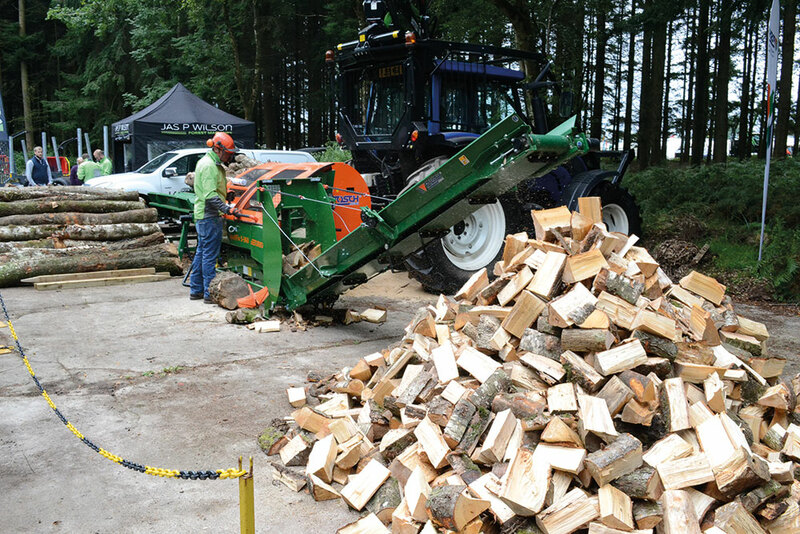 The show is organised by forestry trade body Confor, which represents more than 1500 forestry and timber businesses, from tree nurseries to sawmills. “Longleat is a wonderful venue and thanks to increased promotion of the show through social media, we attracted a more diverse audience this year,” said Confor’s Communications Manager Stefanie Kaiser. Confor has been pushing the message of farm forestry and was pleased to see increased interest from farmers this year. Debates in the Confor tent were very well-attended, including an event called Brexit: Opportunity or Catastrophe. “Brexit is a big issue for all rural sectors, including foresters and farmers, and there was some very feisty debate,” said Stuart Goodall, Confor chief executive. The event also had plenty of opportunities for hands-on activity, including archery and the opportunity to experience a 360-degree virtual reality forest environment. Students from Cannington College enjoyed measuring their strength by holding a heavy chain saw at arm’s length. The show was a great opportunity for young people to get an insight into the career opportunities available in forestry. There was also a chance to marvel at chainsaw carving and to buy locally-made wooden products, including trugs and baskets, which sold out in record-time. In addition, there was a range of valuable practical advice on business development, occupational health, equipment maintenance, health and safety and other relevant topics. The show would not have been possible without the help of staff and contractors, volunteers and the sponsors Tilhill, Euroforest, Aspen Fuel, Abbey Forestry, Fountains Forestry and Soil Association.